Boston – Peabody Properties has been named one of the “Top Places to Work” in Massachusetts in the 11th annual employee-based survey project from The Boston Globe. It was ranked 19 out of 36 in the large employer category. “Top Places to Work” recognizes the most admired workplaces in the state voted on by their employees. The survey measures employee opinions about their company’s direction, execution, connection, management, work, pay, benefits, and engagement. The employers are placed into one of four groups: small, with 50 to 99 employees; medium, with 100 to 249 employees; large, with 250 to 999 employees; and largest, with 1,000 or more employees. Peabody Properties is a full-service real estate company that provides continued training and education for its employees and quarterly Family Days, which are paid-for trips to attractions like whale-watching or apple-picking to enhance social wellbeing among their team members and their immediate families. 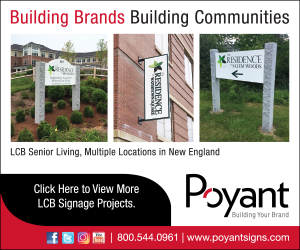 The rankings in the “Top Places to Work” are based on confidential survey information collected by Energage (formerly Workplace Dynamics), an independent company specializing in employee engagement and retention, from nearly 82,151 individuals at 318 Massachusetts organizations. The winners share a few key traits, including offering progressive benefits, giving their employees a voice, and encouraging them to have some fun while they’re at it. The “Top Places to Work 2018” issue was published online at Globe.com/topplaces on the night of November 15, and will be published in The Boston Globe Magazine on November 18.